The U.S.-backed Syrian Democratic Forces (SDF) is poised to attack the last Islamic State (IS) enclave in its area of operations once civilians still inside have been evacuated, an SDF official said. The besieged Islamic State enclave centred around Baghouz on the eastern bank of the Euphrates River represents the jihadist group’s last territorial foothold in the part of Syria where the U.S.-backed forces have been fighting it. Mustafa Bali, head of the SDF media office, did not indicate how soon he expected the civilian evacuation to be completed. Most of the civilians are family members of IS fighters. “There is, of course, a safe corridor and civilians are coming out daily, and this reduces their number in Baghouz until we can be sure the town is free of civilians. “We will launch an attack to end the Daesh (IS) presence or they will turn themselves in. There are no other options for them. We confirm there are no negotiations and no intention to have negotiations,” Bali said late on Friday. The United States said on Jan. 29 that Islamic State was expected to lose the final chunk of territory within a couple of weeks. The SDF, backed by the U.S.-led coalition, has defeated Islamic State across a swathe of northern and eastern Syria. 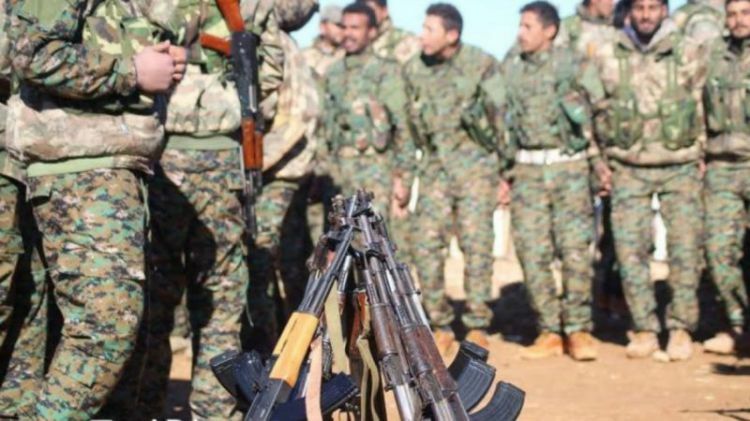 After driving the jihadists from their Syrian headquarters at Raqqa in October 2017, the SDF advanced southwards into Deir al-Zor province, attacking the jihadists in a territory on the eastern bank of the Euphrates River. Islamic State still has a territorial foothold in Syria west of the Euphrates in areas otherwise held by the Syrian government and its allies.